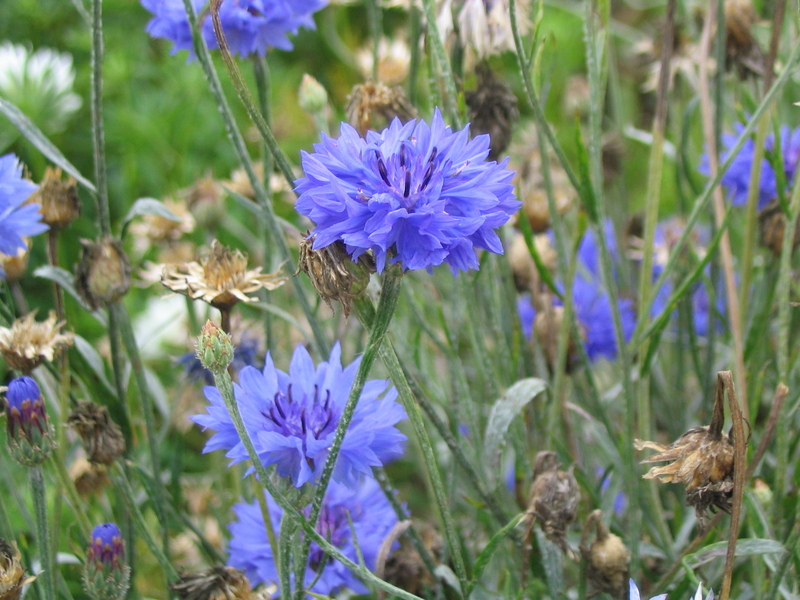 Centaurea cyanus is an annual or winter annual herb, 20-120 cm tall, young plants white-wooly. Leaves alternate to 13 cm long x 1 cm. wide, linear, often white-wooly below, lower ones with a few teeth. Flowers usually blue, all tubular but marginal flowers larger, ray-like, flower heads solitary at ends of branches, bracteate base of head 1-1.5 cm long, bracts narrow, dark-fringed near tips, July-Sept..
Fruit dry, 1-seedd (achene) with small plume of short bristles. Habitat: open soil; escaped from cultivation.